Watching various I-day programmes on TV, Gandhi, Jinnah, his India & Parsi connections, Partition and then a flash of Jinnah's speech of 11 Aug 1947 and ... did I hear correctly? In any case Pakistan is not going to be a theocratic State to be ruled by priests with a divine mission. 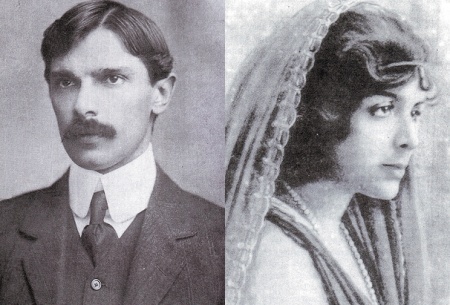 We have many non-Muslims — Hindus, Christians, and Parsis — but they are all Pakistanis. They will enjoy the same rights and privileges as any other citizens and will play their rightful part in the affairs of Pakistan. Political compulsion? Makes one wonder ! Does anybody remember these words in the country which he gave life to? Seems from some searching that Pakistan lost the recording of this speech of its creator. Some Pakis feel even the spirit of Quaid-e-azam's speech is lost! Hope Pakistan changes some day.